LCD Is it Tough Being a Friend? Discussion in 'Latest Chapter Discussion' started by Cosmic_, Aug 13, 2018. I’ve found my ideal hero! My friend Hinomori Ryuuga. The happy-go-lucky best buddy I made in high school. My first impression of him was this: “He’s like the hero character in an anime.” And that impression quickly changed to fact. For one thing, he almost never talks about his past. He often skips classes and when he comes back he’s either bleeding from the mouth or has torn clothes or something like that. …So why do I do it? It’s because I, Kobayashi Ichiro, am a professional friend. Playing the part of the best friend that supports Hinomori Ryuuga, the hero of heroes, is my way of life. 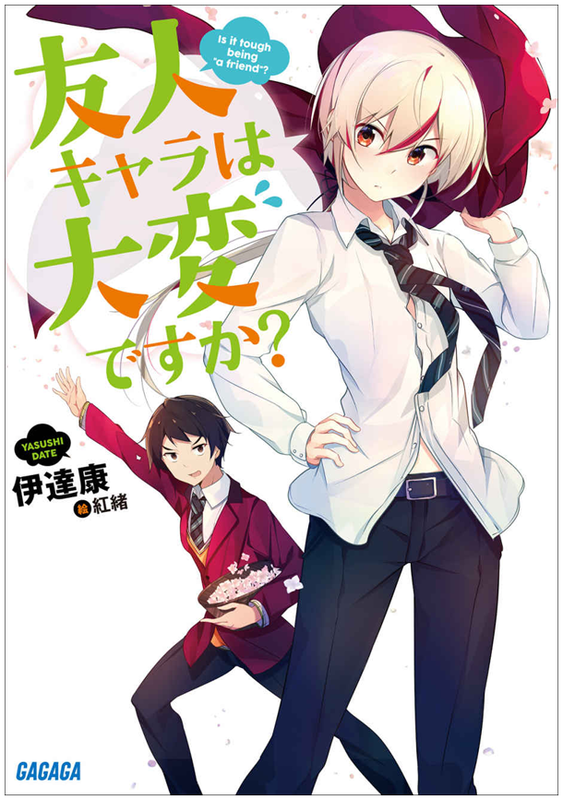 –The start of a love comedy brought to you by the supporting character Best Friender Kobayashi! Found that this novel didn't have an LCD so I'd thought I make this one my first one. I find this novel to be really enjoyable and a relaxing read. I really like the MC and his way of life. Support characters FTW! Also found his high spec and the cliche self-awareness really fun. I loved the twist with the 'Protagonist' HAHAHAAH it really is 'Though to be a Friend', hope MC hangs in there I love how self aware is the MC and moves in the shadows. Cosmic_ and Kaminomi like this. Yeah, I really wished it had him remain as the support tho. Still, the way it's developing is still fun. Paps and Kaminomi like this. It'd be great if he had O- blood since it's the universal donor blood type and the blood of an ultimate support character(blood donor). HAHAAHAHAHAAH This line 'Y, you are not human! Your speed is ridiculously──' cracked me up. Thats the moemnt when the Demons consider you a monster!!!!!!!! Really the last chapter was hilarious!!!!!!!!!!!! So whats his role then??? There are so many hints that MC is not normal. How could he believe he was an ordinary person all his life so far? If he wasn't in that school play, I wonder how he would turn out? A secret OP 'normal' guy!!!!!!!!! HAHAAH But really even I want to know what he is. He even has aura!!!!!!! I am loving Totie, he is such a troller character like MC I am seeing now why they fit so well toguether. No one finds strage that he talks to the MC as Boss??? What strange there is? MC is obviously his Boss additionally being vessel.. I bet 1000 nuffies that in 1 year this novel we will get an update for an anime. if not I will pay 500 nuffies directly and wait to the new mark of 1.5 years.